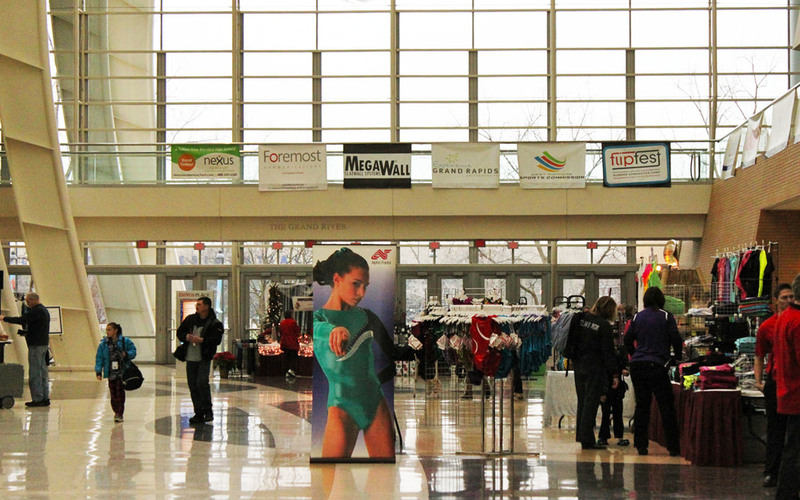 Many thanks to our valued sponsors who make Gymnastics on the Grand such an outstanding event. Our sponsors offer great products and services for gymnasts and their families, so make sure to check them out below! If you would like to partner with Gymnastics on the Grand, please visit our Become a Sponsor page to learn more. Alpha Factor has specialized in custom gymnastic leotards for over 30 years and is proud to be an industry leader in its support of gymnastic coaches and teams. We offer competitive leotards and warm-ups with innovative designs. New to Alpha Factor are our Quick Ship styles for fast availability. We continue to work hard at being a leader in service, quality, fit and dependability. Make Alpha Factor YOUR Advantage. For more info, visit www.alphafactor.com. Skillzys are colorful plastic incentive bag tags that can be fully customized with team, club, or league logos and colors. Reward your team with Skillzys! Tournament Tagz™ by Skillzys are the hottest new participant giveaway for tournaments, meets, and other events. Made from high-quality PVC or durable Teslin, Tournament Tagz™ can be fully customized with event and sponsor logos, colors, and any other text information desired. Enhance your brand with a cool participant giveaway that young players love collecting and displaying on their sports bags and backpacks. Just see Skillzys® products at your basketball tournament, gymnastics meet, or swim meet? Or maybe at your local elementary school? The Skillzys website has products for all the applications above and more! Bob Evans Restaurant provides homestyle food and friendly service to customers in Grand Rapids and throughout the United States. The restaurant is known for its signature favorites like Rise & Shine breakfast, sausage gravy 'n biscuits, turkey and dressing and our Knife & Fork Sandwiches. Also, known for its signature seasonal favorites, Bob Evans Restaurants offer up favorites like chicken salad, Bob Evans Bob-B-Q, pumpkin pie, among many others. Bob Evans has something for everyone at breakfast, lunch and dinner. Visit Bob Evans at 5190 28th Street, Grand Rapids, MI 49512 6am-9pm Monday through Saturday, Sunday 7am-9pm or order online for pick up! The CloudBOOM is a web-based music storage system developed for use at competitive gymnastic events. The CloudBOOM replaces compact disks, Mp3 players and smartphones. Your music is uploaded and organized by event session. Customized, errorless playback and sequencing provided on-site. To learn more, visit thecloudboom.com. Spectrum Health Medical Group is the exclusive provider of on-site coverage by licensed/certified athletic trainers for participants of Gymnastics on the Grand. Spectrum Health Medical Group is a multispecialty physician group dedicated to putting patients' needs first. We bring together the finest physicians and medical resources to give our patients the best health outcomes and the highest level of service. From annual health checkups to complex surgery and medical management, Spectrum Health Medical Group is your medical home for a lifetime of care and wellness. We invite you to get to know us and our services better, and see for yourself what makes us unique. Learn more at shmg.org. With so many fun activities at Flip Fest you'll never want to go home. Flip Fest is the only summer camp owned and operated by two Olympians John Macready and John Roethlisberger. Join us this summer at one of the most exciting and impressive gymnastic camps in the country. For more info and to sign up, visit flipfest.com. Cyril Catering is a Mobile Caterer in the West Michigan area featuring Wood Fired Pizza and Fire Roasted Catering. Specialties include American (New), Barbeque, Buffets, Food Stands, Hot Dogs, Italian, Pizza, Sandwiches and Vegetarian. Visit Cyril Catering on Facebook at www.facebook.com/cyril-catering. Louis Benton has been a staple in Grand Rapids for over 10 years. We use the finest quality ingredients and do our part to ensure that your dining experience is top notch. There’s a reason why we’ve been crowned Grand Rapids’ best steakhouse multiple times; dine with us and see for yourself! Learn more at louisbenton.com. We are Panera. We are bakers of bread. We are fresh from the oven. We are a symbol of warmth and welcome. We are a simple pleasure, honest and genuine. We are a life story told over dinner. We are a long lunch with an old friend. We are your weekday morning ritual. We are the kindest gesture of neighbors. We are home. We are family. We are friends. Learn more at www.panerabread.com. Inside the Amway Grand Plaza Hotel, Ruth's Chris serves only the best steaks, hand-selected from the top 2% of the country’s beef and broiled to perfection at 1800 degrees so that every last bite stays as hot and delicious as the first. Enjoy the freshest seafood, classic sides and homemade desserts that satisfy any craving. Whether it’s a business meeting or private event, a guys’ night out, just the girls or unwinding with your colleagues, we will accommodate your every need in our warm and inviting atmosphere. Make your reservation today at Ruthschris.com. MegaWall™ slatwall systems is the premier manufacturer in the display industry worldwide -- no one makes more slatwall styles. We make slatwall from steel, aluminum and plastic. MegaWall steel slatwall is a system of profiles (slats) that interlock to form an uninterrupted wall with no visible fasteners or horizontal seams. MegaWall aluminum slatwall finishes come in standard colors but can be done in custom colors. MegaWall plastic slatwall is designed for creative retailers. Curved slatwall is only available from MegaWall. Visit MegaWall.com to learn more. The mission of the West Michigan Sports Commission is to promote Michigan’s West Coast as the premier venue for hosting a diverse level of youth and amateur sporting events, enhancing the economy and quality of life in the region. A hub for West Michigan, Grand Rapids is the premier destination for big city excitement and natural splendor. Located on the banks of the Grand River, the city is a year ‘round playground offering sporting events and outdoor activity for all ages. As an area passionate about sports and fitness, Grand Rapids is proud to host many popular sporting events – Fifth Third Riverbank Run, Grand Cycling Classic, Grand Rapids Marathon, Grand Rapids Yacht Club Regattas, Millennium Triathlon, the Meijer State Games of Michigan and Gymnastics on the Grand. To learn more visit www.westmisports.com. Experience Grand Rapids is charged to lead the marketing of Grand Rapids and Michigan's West Coast as a premier convention & visitor destination significantly impacting our local economy. Visitor spending not only impacts hotels, restaurants, retailers and transportation businesses but also helps to underwrite the area's arts and cultural assets. For these reasons, tourism is important to this region. If your organization helps support this mission, we invite you to become an Experience Grand Rapids Partner. For more info, visit experiencegr.com. On February 26, 2010, PepsiCo completed its mergers with The Pepsi Bottling Group and PepsiAmericas, further strengthening PepsiCo’s beverage business. 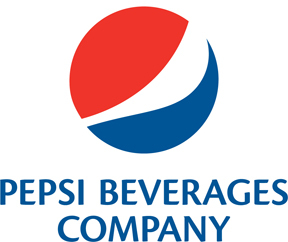 PepsiCo's new operating unit, Pepsi Beverages Company, now serves the United States, Canada and Mexico. PepsiCo today is the largest food and beverage business in North America and the second-largest in the world, with nearly $60 billion in annual revenues and approximately 285,000 employees. It also is the global leader in savory snacks. For more on Pepsi visit Pepsi.com. With four locations in the Grand Rapids area, Uccello's Ristorante, Pizzeria & Sports Lounge has something for everyone. Open 11am to 2am seven days a week, Uccello's offers mouth watering options for lunch, happy hour, dinner, and late night hunger. Each location features multiple big screen HDTV's, for a great view of the games from anywhere. For a more quiet dining experience, all Uccello's have family dining areas. And for events big or small, try one of Uccello's MVP banquet rooms. With all of these choices, along with a huge menu, Uccello's Ristorante Pizzeria & Sports Lounge will satisfy whatever you are in the mood for. To find a location near you, visit uccellos.com. a.j. Veneklasen, Inc. is a full-service general contractor and builder based in Grand Rapids, Michigan. Our family-owned construction company has been providing West Michigan with quality commercial and industrial construction for 35 years. As our reputation has grown, we have handled projects throughout Michigan and in other Midwest states. With a.j. Veneklasen, Inc., you can trust that our construction team is dedicated to your venture and values your relationship. Our talented and professional construction staff brings integrity, expertise, and hands-on construction management to every project. Learn more at ajvinc.com. For nearly 40 years Diamond Concrete Sawing has been providing technologically advanced concrete sawing, robotic demolition and subsurface imaging (Ground Penetrating Radar — GPR) services to satisfy the needs of knowledgeable customers throughout the country who demand immediate and safe solutions, within budget, and on-time. As only one of a few companies in the industry where all operators are OSHA and CPR/First Aid Certified, Diamond provides customers with the assurance of a safe operational environment. Learn more at DiamondConcreteSawing.com. Founders Bank & Trust operates with just under 100 employees in the greater Grand Rapids area. Our culture and values are very strong and support all of our actions. We are here to serve the community, and our employees are empowered to make decisions quickly that will help customers reach their goals. The atmosphere of our bank is friendly, positive and forward thinking. At Founders Bank & Trust, we enjoy what we do. We want to be your bank of choice. Learn more at foundersbt.com. Our restaurants include Bagel Beanery, Sundance Grill, Beltline Bar, the Omelette Shoppe, Boone's Prime Time Pub, Bear Lake Tavern, El Barrio Mexican Grill, Flap Jack Shack, Forest Hills Inn, and Grand Coney. All of the restaurants were originated here in North West Michigan, and are independently owned and operated. Our goal is to continue our expansion in these areas and with your help, we will continue to grow and create exciting opportunities for you and many others. Learn more at 4gr8food.com. Grand Rapids Cheesecake Company is West Michigan and Grand Rapid's premier source for fine cheesecakes, cupcakes and wedding & specialty cakes. Take home a cheesecake tonight, or, we can cater your wedding, corporate event as well. Stop by and see us soon. Contact us to schedule a taste testing, or place an order today. Make your even ultimately unique and memorable with cheesecake! Grand Rapids Cheesecake uses only the finest all-natural, local West Michigan ingredients. Made from scratch in our kitchen every day. Learn more at grcheesecake.com. Trade show exhibits and displays typically fall into one of three categories – Portable Modular, Custom Modular and Custom. Nimlok specializes in all three and has been building solutions for clients in these categories for over 40 years. Nimlok is one of the most experienced and credible exhibit manufacturer’s in the USA and prides itself on providing the utmost quality and service. Wherever your exhibit or event is, Nimlok is ready with expertise to ensure your program is executed with ease. To learn more about how we can bring your ideas to life, visit us at nimlok.com/michigan. Titan equipment is a locally owned and operated, full service equipment supplier specializing in rentals, sales, service, and parts. We carry a broad range of equipment: scissor lifts, boom lifts, rough terrain reach forklifts, industrial fork trucks, light towers, skid steers, mini excavators, floor scrubbers/sweepers, Kubota and John Deere rtv’s, and generators. Visit titaneq.com to learn more. Jester’s Court Party and Play Center is an indoor playground featuring larger than life inflatables and softplay (enclosed jungle gym). We provide active play for children as well as an atmosphere adults can enjoy. Jester’s Court is located at 3707 Northridge Dr NW, Grand Rapids Charter Township, MI 49544. For hours and more info, visit http://jesterscourt.co (note .address is a .co and not a .com address). One off the largest providers of new and used forklift sales service, parts and rental in Michigan and Indiana, ready to assist you with all of your material handling challenges. More than just lift trucks, we can help you with other equipment, from floor cleaning equipment and vehicles to move your people and your stock, and things like warehouse racks, bins, and more for your business. Many of the largest companies in Michigan have used our fleet management and repair services to their advantage. We equate our success with dedication to providing the right solution to your needs. Visit morrison-ind.com to learn more. At Foxy's, we believe that a leotard is like armor to a gymnast… We believe that falling can be just as much a part of learning and growing… We believe that your teammates can be as close as sisters, and coaches as close as parents…We believe that the 25 hours spent training in the gym each week prepares you to be a lifetime champion! Foxy’s Fitness Fashions is family owned & operated and has been making the best leotards for girls since 1984! Foxy’s leos are known for their superb quality, perfect fit, fun fabrics, and at a great price. Our leotards will hold up and last forever. We choose only the best fabrics, notions and machines that all come together to create our perfect leotards. If we are not in your gym’s pro-shop yet give us a call 831.227.6226 or visit us online at foxysfitnessfashions.com. Grand Rapids Popcorn Company is Family Owned & Operated since 1944. We are a small local business but we deliver big! We have over 30 flavors to choose from and offer many different sizes and case pricing. Learn more at .